Kluttz Lumber are a retail building supplier, and a supplier of building materials, that Buzzazz has worked with for over 5 years. They operate out of Concord, North Carolina, and have been part of the community there for a long time. They have been in business for 85 years and through 4 generations of their family. For 60 to 70 years they have been B. E Kluttz, and before that they were E C Kluttz, and were responsible for building a lot of the downtown homes in their town. Pat started there in 1988, and got married to Charles Kluttz in 1990. Pat helps out, but she says Charles is the real soul of the company. Charles delivers incredible customer service – coming in at 5 in the morning and staying until 10 at night; providing the kind of hands on customer service the chains don’t. Kluttz has been there for the evolution of the lumber industry in their area, from when there were only 3 local lumber yards, that used to work together, and refer business to each other, to now, when a lot of the larger chains have moved in. A lot of people assume these larger chains are cheaper and they aren’t, and there are certain things that Kluttz can do that they aren’t able to. 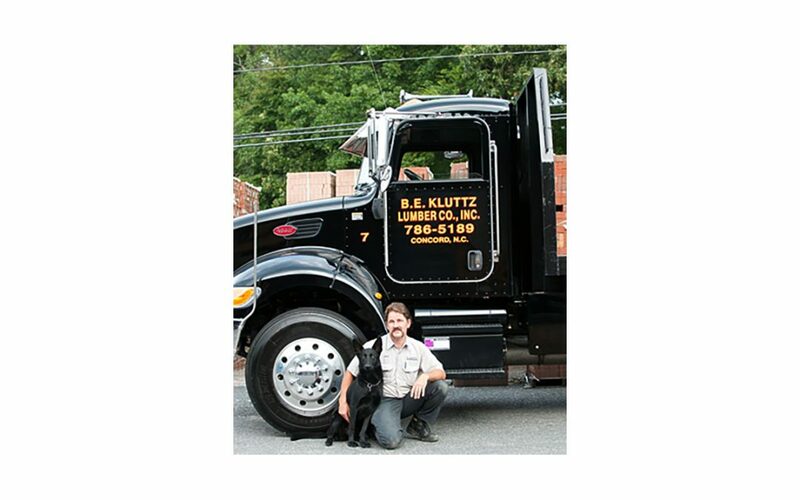 Kluttz carries a better grade or quality of lumber at a lower price, and Charles is always looking for new services that they can provide their customers. One such thing is live edge tree slabs, and exotic hardwoods, which are soaring in popularity. Charles has been doing his work the same way it has been done for 85 years, because it works, and he is highly skilled at what he does. Kluttz Lumber is very involved in the local community – they have donated to Habitat to help the homeless, and various other projects in the local community. Pat has been an active Music Minister teaching musical groups, adult choir, children’s choir, and has run a praise band / contemporary service for most of her life. It’s always a pleasure calling their office, whether you speak, to Rhonda the Office Manager, or Pat, or any of the other staff, they are always friendly. The fact that Charles loves the business really does give the company a beating heart, and anyone who works with them can see that.